Top of my list of places to return to in Japan is Kurokawa Onsen. 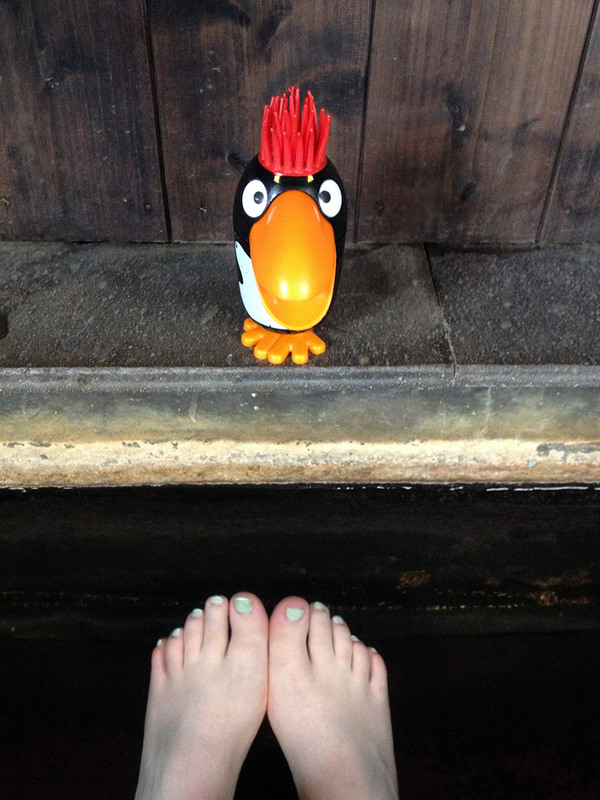 This town is all about onsen and I'm all about onsen, so it's a match made in heaven. 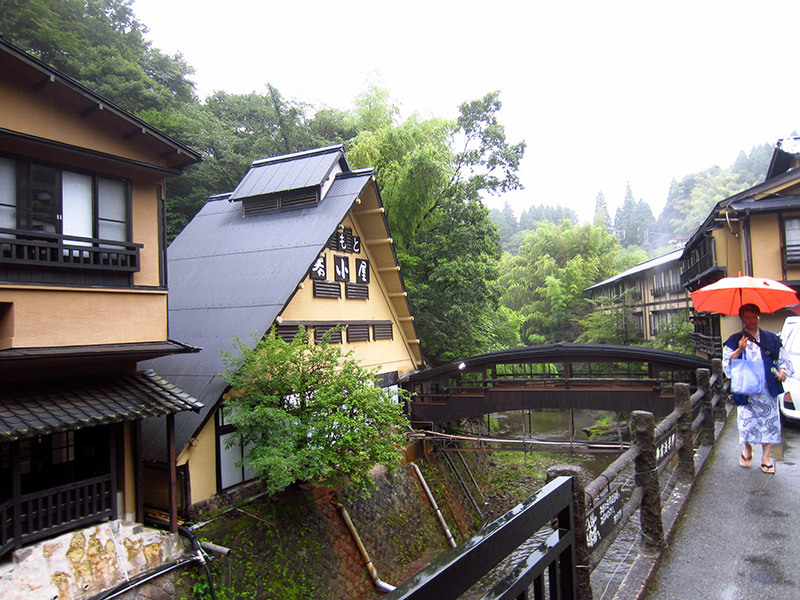 Kurokawa is an onsen resort located in the middle of Kyushu. The local hotel association has exerted a lot of power to keep Kurokawa from being taken over by huge, concrete hotels as has happened in many other onsen towns. Though there have been onsen in Kurokawa for at least 300 years, modern Kurokawa as a popular destination only took off in the 1960s. Getting to Kurokawa isn't too difficult, if you don't mind taking a bus. 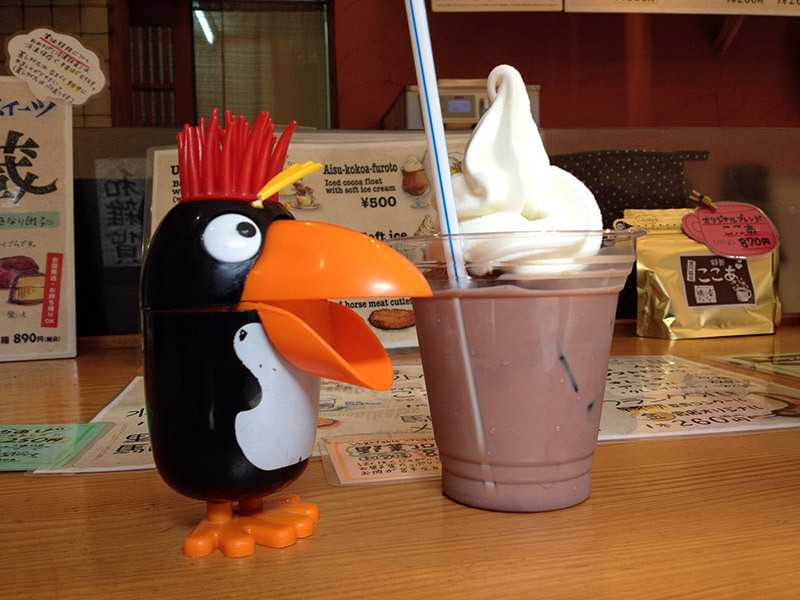 You can catch one from Hakata Bus Terminal, or come in from Kumamoto in the other direction. 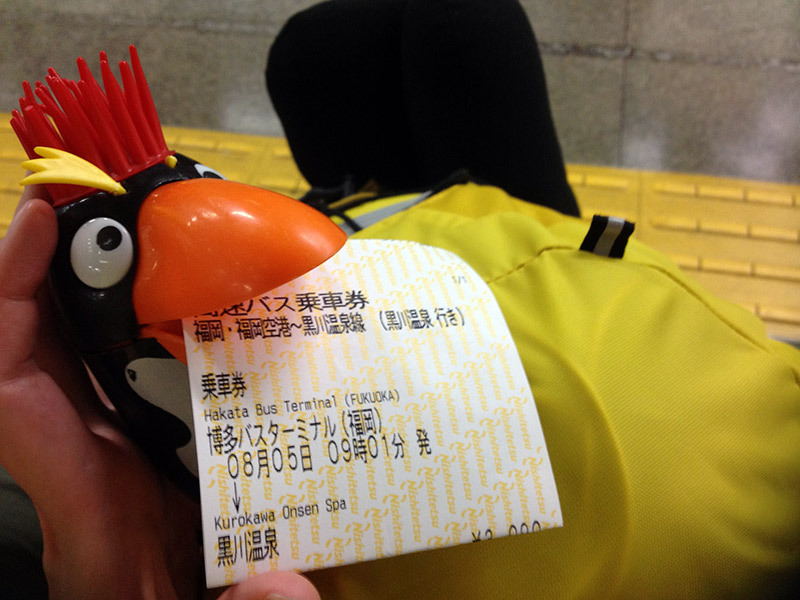 My traveling companion, Punky the Penguin, held onto my bus ticket for me. A bus trip might not be very appealing for JR Pass holders, but I think it's worth it. If you are diving, there's free parking in Kurokawa. 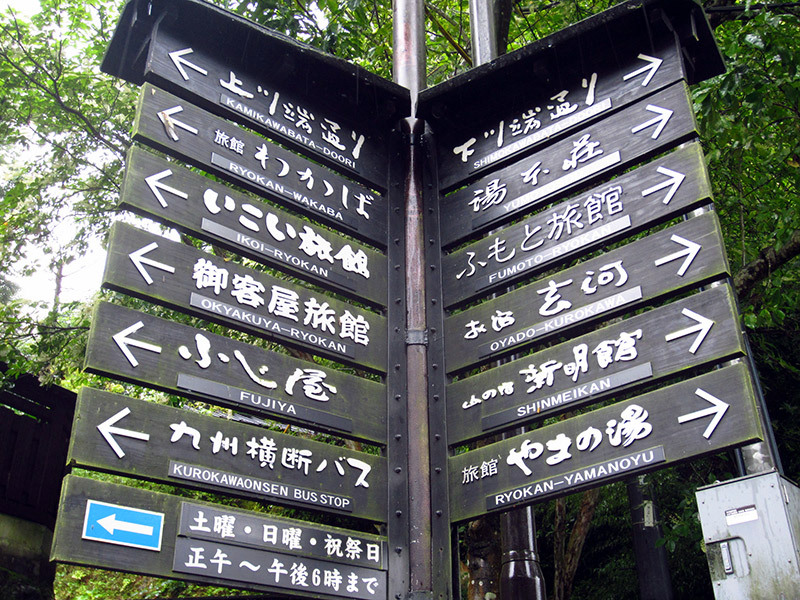 Once you arrive in Kurokawa you are presented with 24 different onsen options. The town is well signposted and there are free shuttle busses to some of the more remote baths. The most important thing to get your hands on in Kurokawa is one of these, a Rotemburo Meguri token called a —- —-（）入湯手形 (nyuutou tegata). 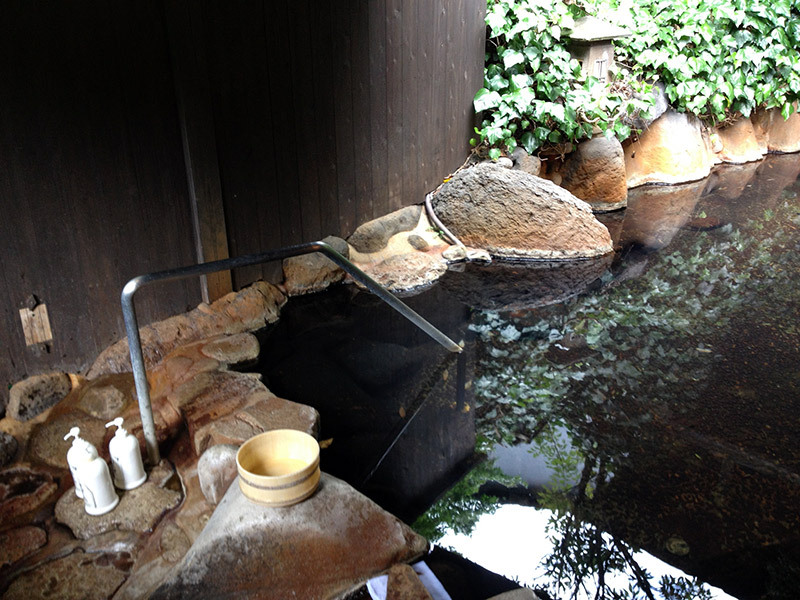 —- —-（）露天風呂めぐり (rotemburo meguri), means a walk around the outside baths, which are the highlights of the onsen in Kurokawa. One token costs 1300 yen. It gets you into three baths of your choice and saves you money on the normal 500 yen admission price. 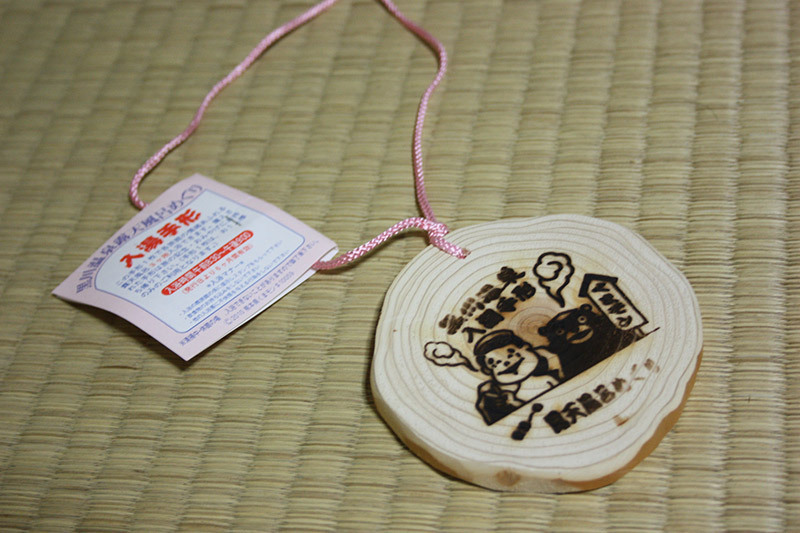 You can get one at each onsen in Kurokawa or at the visitor's centre. They last for six months, in case you don't feel like going to three baths in one day (I don't entirely understand not wanting to go to three baths in one day, but hey.) To ask for one, you can say, "Nyuutou 入湯（） tegata 手形（） onegaishimasu お願いします。（）." The front side is branded with a different image each year. 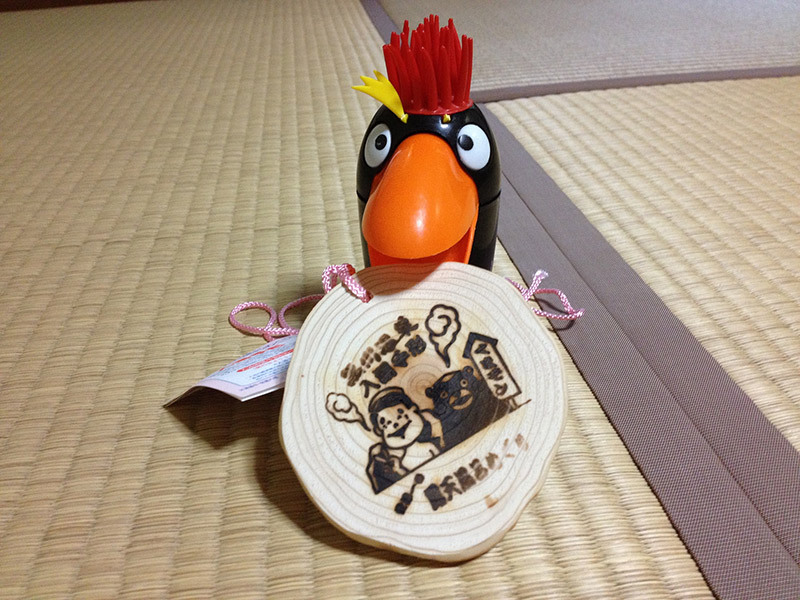 In 2014 it included Kumamon, Kumamoto's popular mascot character. As a fan of Kumamon, I was very happy. The token is made of local Oguni cedar wood and has a cord so you can wear it around your neck as you go from bath to bath. The reverse side has three stickers. When you go into a bath, they take off one of the stickers and replace it with a stamp. I had already been to two baths when I took this picture. It combines onsen with stamp rallying, so if you've read some of my other articles, you can see why I love it here. When all three stickers are gone, your token becomes a nice souvenir. 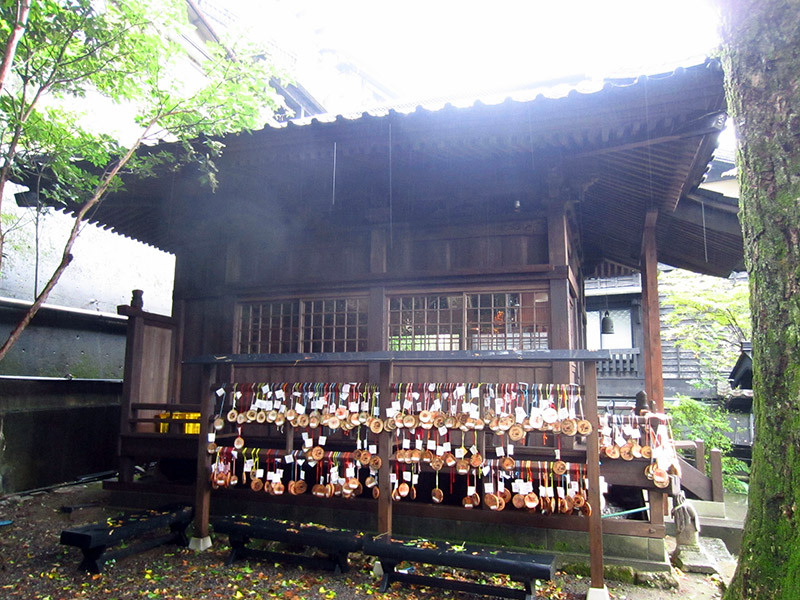 Alternatively you can take it to the shinto shrine in the centre of Kurokawa. 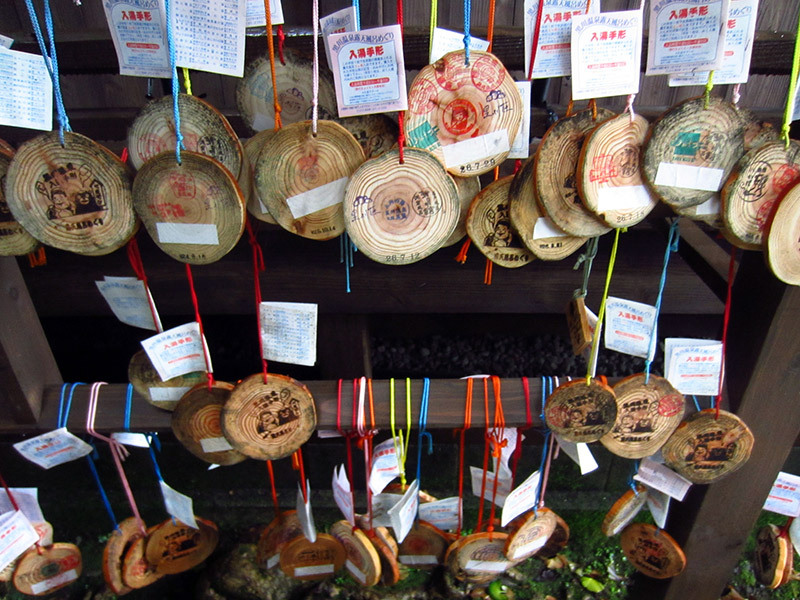 Many visitors leave their tokens at the shrine. This is a variation on the traditional practice of ema 絵馬（）. Whether you take your token home or leave it at the shrine, be sure to get one. 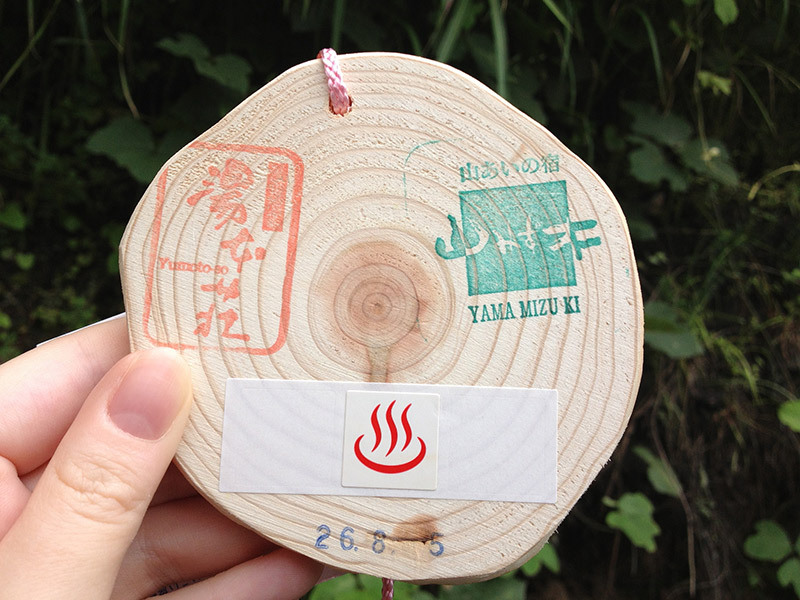 They are your ticket to the true attractions of kurokawa, the many onsen and their rotenburo 露天風呂（） (open-air baths). 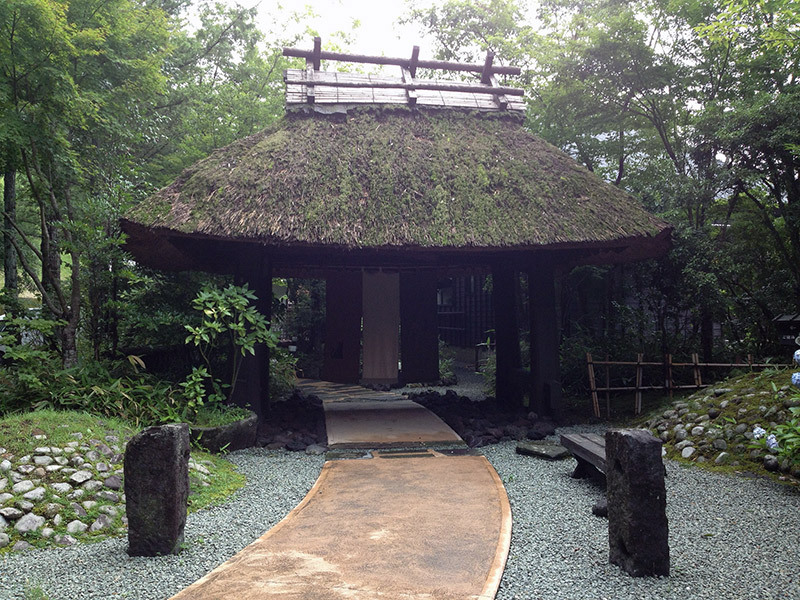 This is the entrance to one of the onsen. It is located at the top of a cliff. 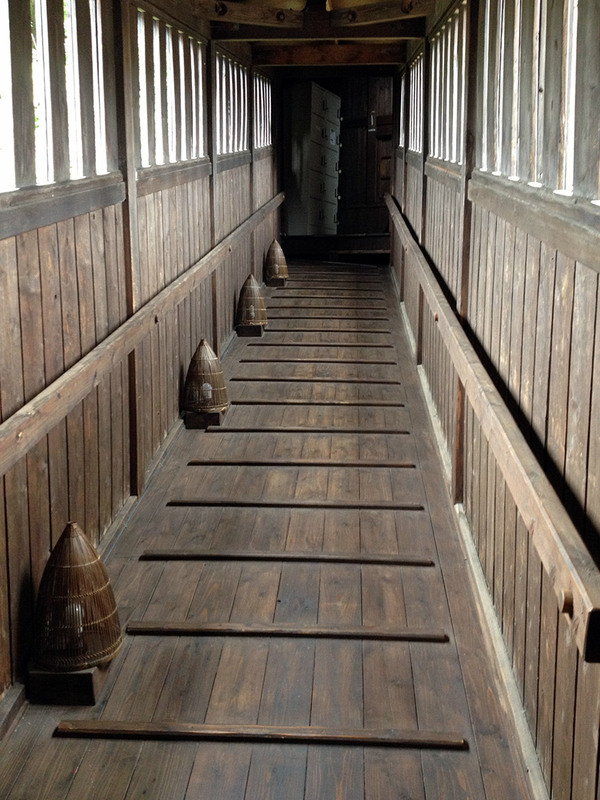 You have to take two elevators and this steep, covered bridge to reach the baths. There are 24 onsen in Kurokawa, each amazing in it own way. During my two day stay I managed to visit 12 of them, which was a pretty intense onsen hopping experience. Each has a different character and type of water. The different waters are meant to be good for various skin and health problems. There are recommended routes that are meant to be the best for your health. At some onsen you might feel like you've stepped into a fairytale. The procedure is the same as visiting any onsen. First you wash yourself outside the tub. Soap, shampoo and conditioner are provided. Then you rinse yourself off. 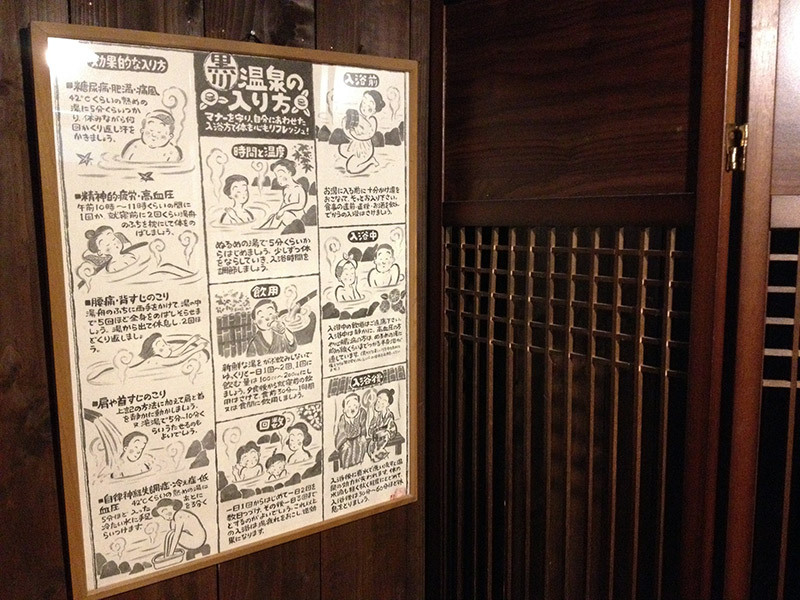 There are helpful posters in some onsen that show you how to get the most out of your visit. In other places, you fill a bowl with the water from the pool to rinse yourself. Once you are clean you can slip into the water and relax. Some of the baths are truly magical, like this one inside a cave. I might have done a Little Mermaid impression on that rock. 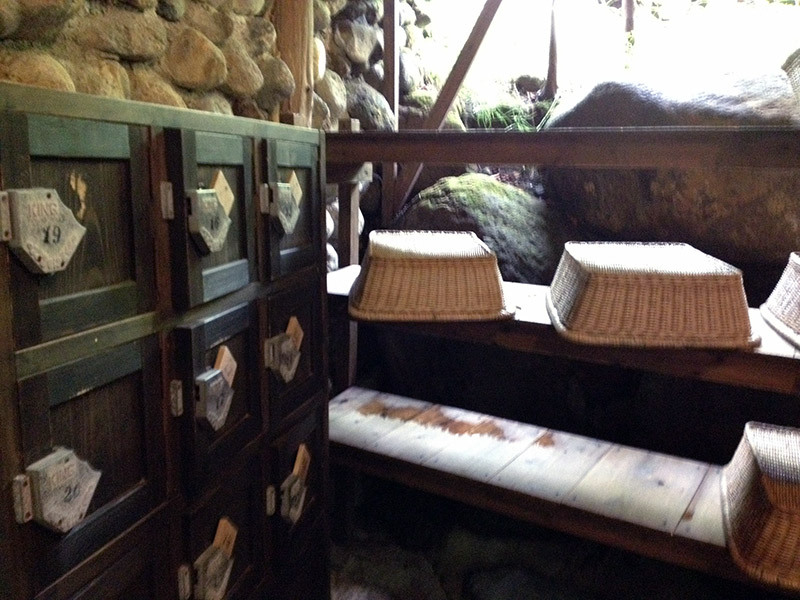 Some onsen have lockers and others have baskets to leave your valuables in. Some have both. I never felt worried about leaving my stuff in the changing rooms. 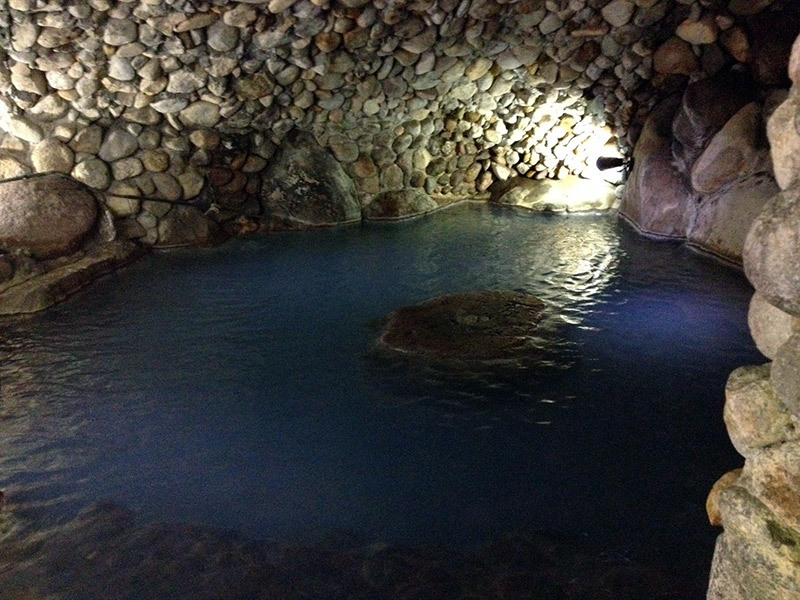 I only have pictures from the smaller onsen that I had to myself. The larger ones, including Yamamizuki, which is rated as one of the top onsen in Japan, were more crowded. They were by no means overcrowded though. 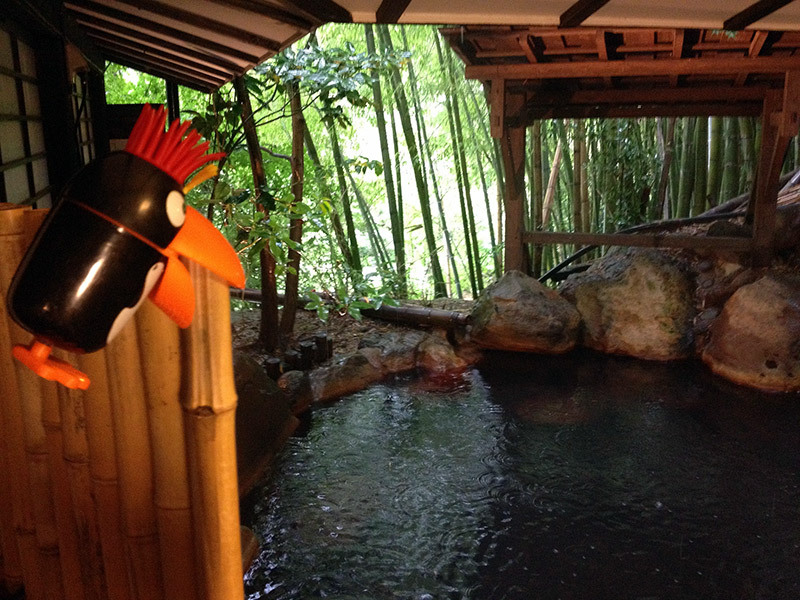 Even in popular onsen I often found myself able to sit in the water and look out at the woods in perfect peace. While you walk from bath to bath, you can wear a yukata, like most of the other guests in Kurokawa. If you are staying at one of the onsen hotels, yukata will be provided for you. Otherwise, you can rent them for the day. You can also rent or buy onsen towels from most of the onsen. 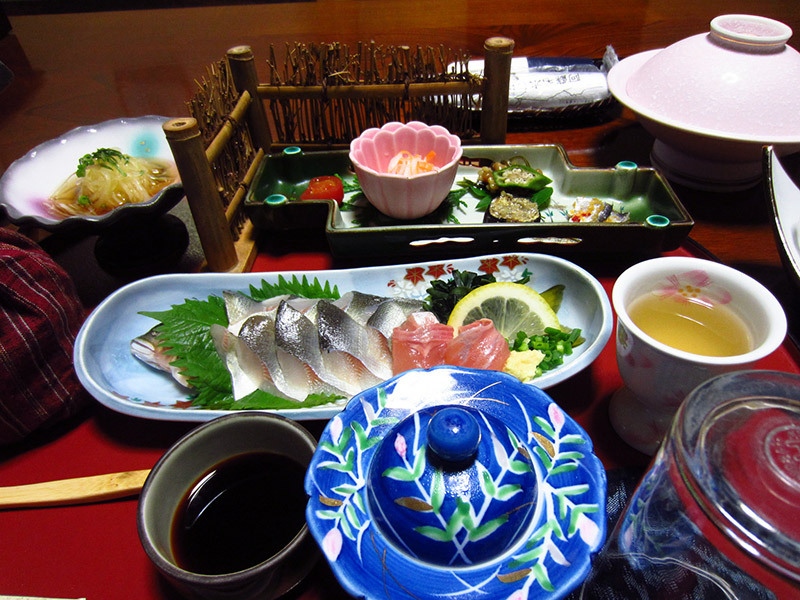 Apart from the onsen, there isn't a whole lot in Kurokawa. There are a few shops; a honey shop, a place you can buy horse sausages and some typical gift stores. I didn't go for the horse sausages, but this iced chocolate was amazing! There are some good restaurants. 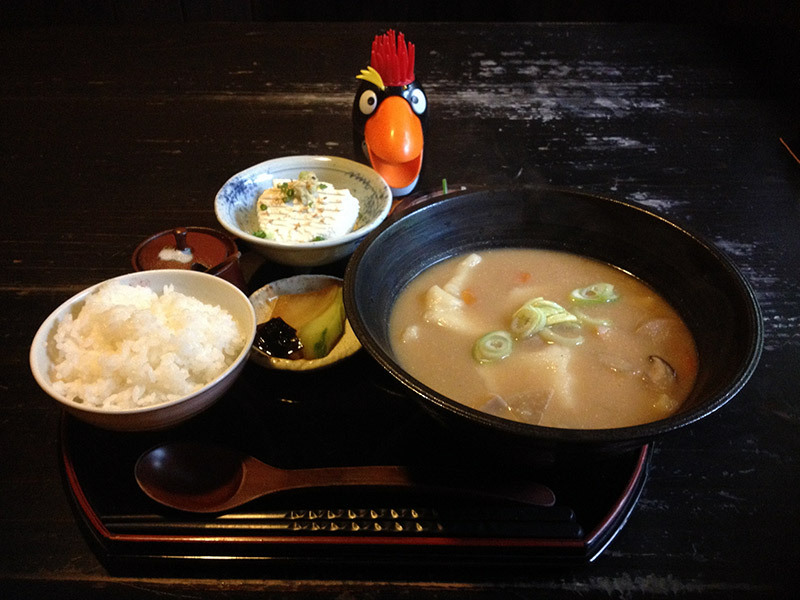 My recommendation is Ufufu. 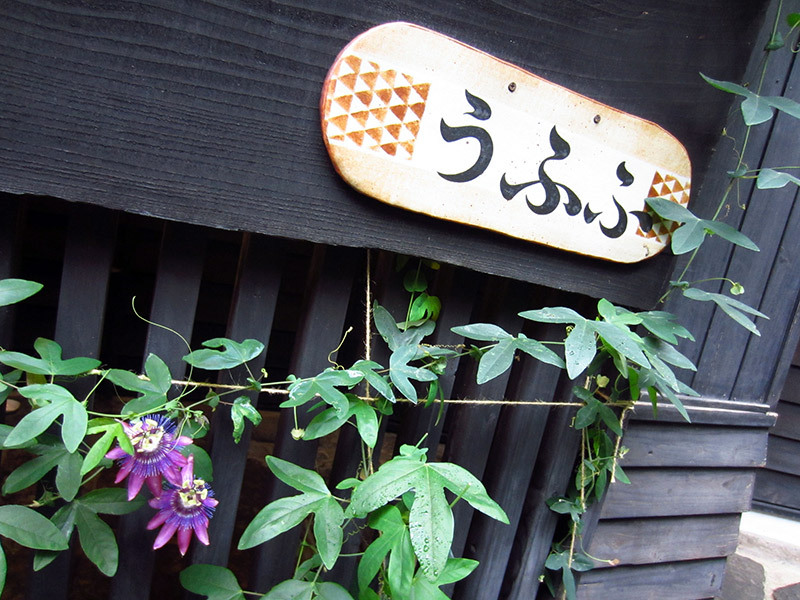 It is located on one of Kurokawa's main streets. The lunch special is delicious and they do some amazing things with tofu. 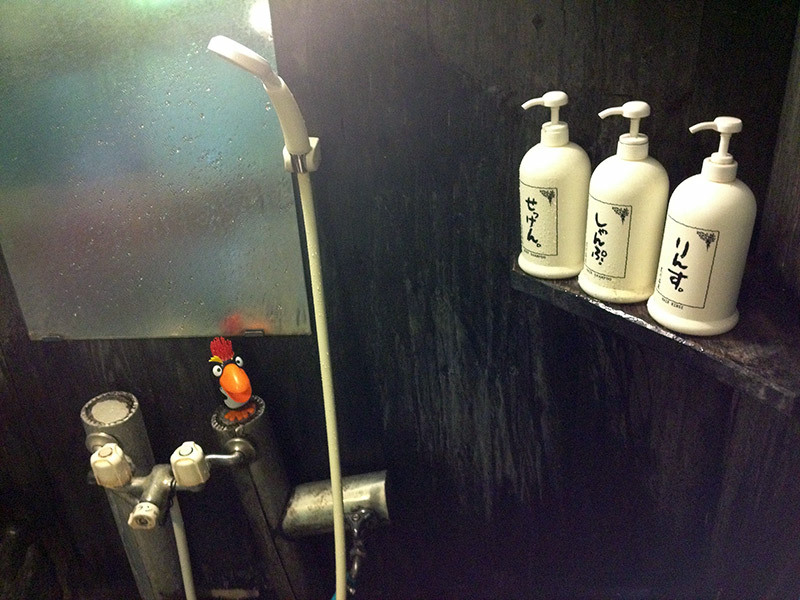 I also splashed out and stayed in one of the ryokan, traditional onsen-hotels. This was my dinner. The experience was pricey, but delightful. 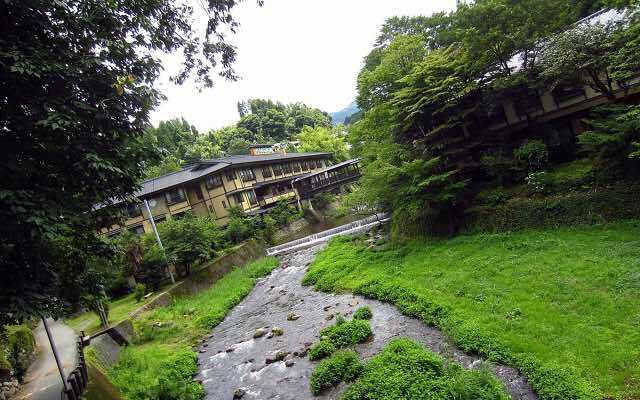 Any overnight stay in Kurokawa will be fairly expensive as the only accommodation is the onsen-hotels. If you don't want to stay in Kurokawa itself, a cheaper way to visit is to stay in a hostel in Aso and take the bus in for a day trip. 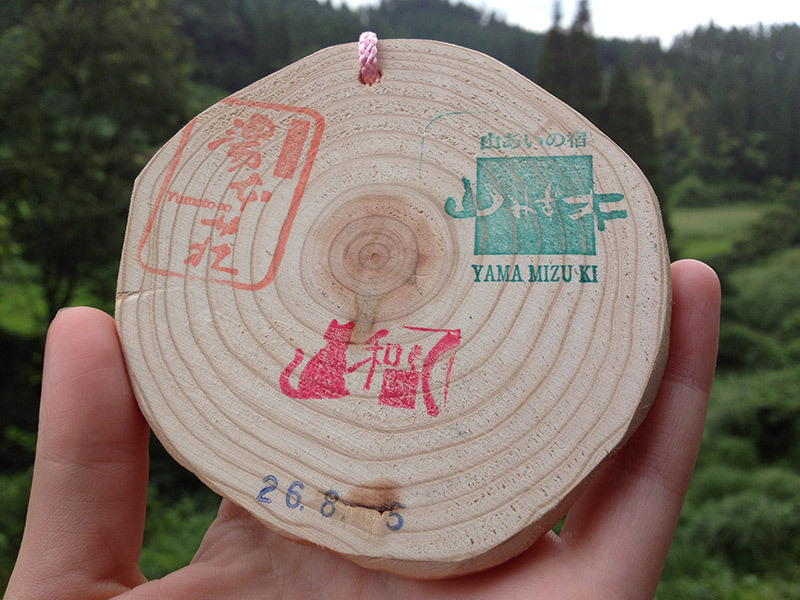 Other things to do in Kurokawa include using your bath token to play Kurokawa ping-pong in some of the hotels. Unsurprisingly, drinking is also usually involved. 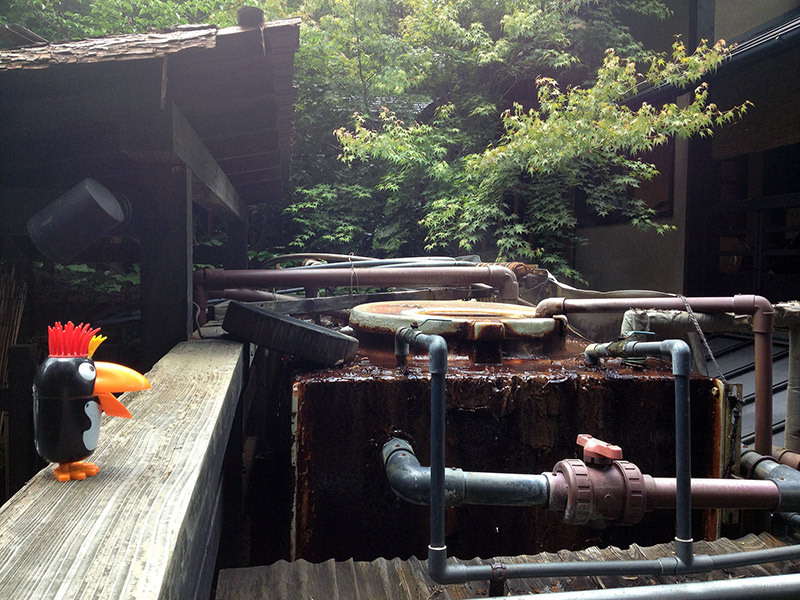 You can admire the engineering that keeps Kurokawa's natural hot springs water flowing to all the right places. 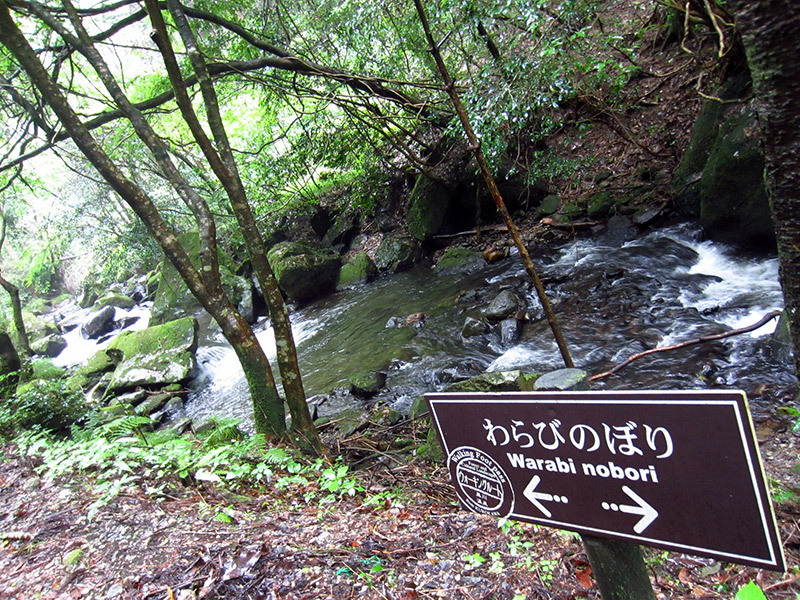 There is a walking path that takes you around the hills of Kurokawa. The woods are deep and mysterious. 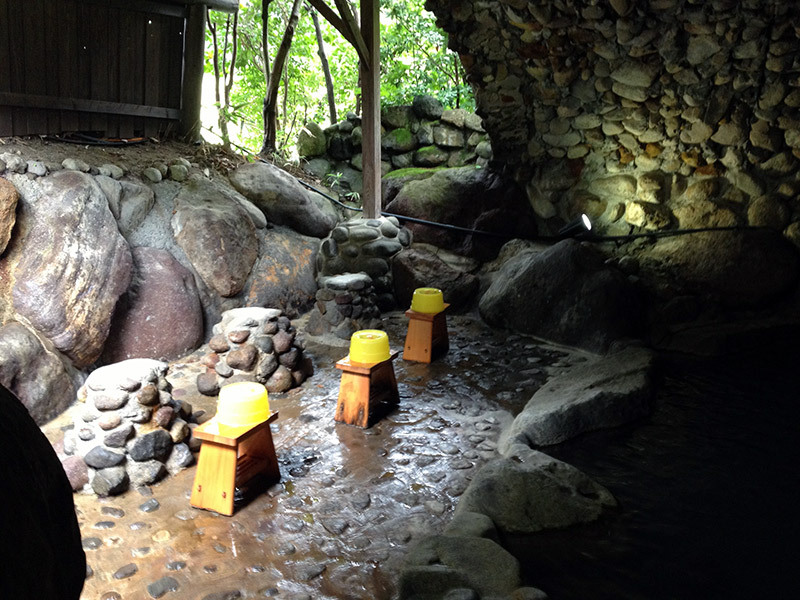 If you are tired of full body onsen, there is a free foot spa that overlooks the river. 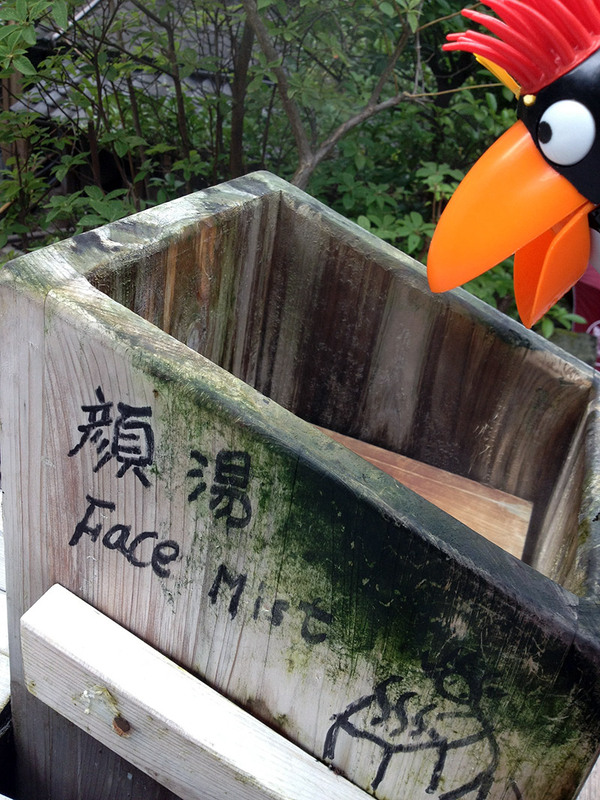 And a free face mist station. It felt pretty good. Mostly being in Kurokawa is just about relaxing and enjoying water in many different ways. As I said at the start, Kurokawa is top of my list of places to go when I'm next in Japan. I want to go to the rotenburo I missed on my first visit. There are also private family baths to hire that I'd like to try. I had a great and relaxing time in Kurokawa and I'd recommend it to anyone who needs a little R&R. I went by myself (apart from Punky), but it also makes a great destination for couples and families. 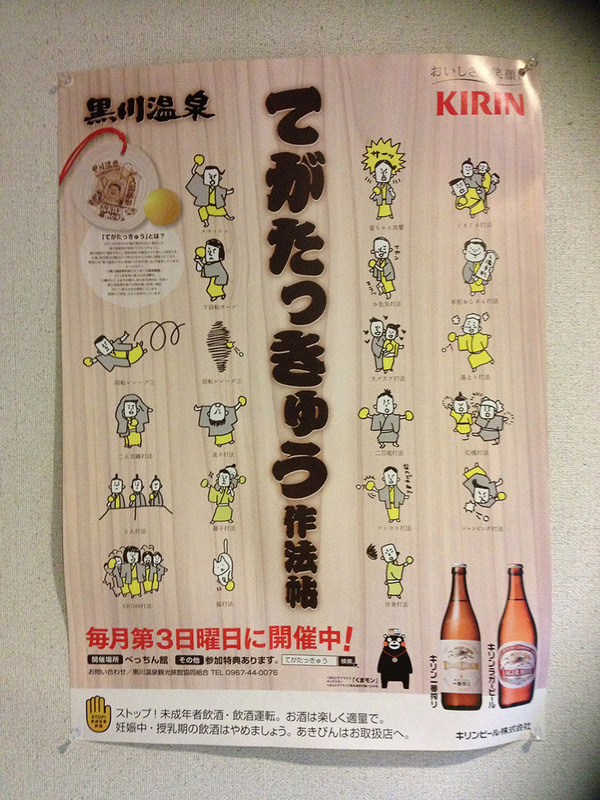 Note: Each individual onsen is open or closed on different days. Check here for more info. Many different types of onsen all in one place. If you love onsen, this is a great visit. You can get the Rotemburo Meguri to attend three different baths and save some money. There are many onsen in Japan. This is just one of many.